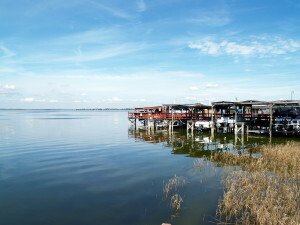 How Many 55 Plus Communities in Central FL Are Situated Next to a Beautiful 10,000-Acre Lake? Lake Griffin Harbor is unique among 55 plus communities in Central FL in that it is located directly on the shores of a gorgeous 10,000-acre lake. Indeed, our advantageous lakeside setting is arguably the defining feature of our 55+ community, where retirees from various walks of life are never without something fun to do on or near the water. Lake Griffin Harbor is a 65-acre gated community designed for the retiree who wants affordable housing, friendly neighbors, lots of onsite amenities, and a beautiful lakeside residential setting. It is one of five Blair Group-owned 55 plus communities in Central FL and a place where you will have no trouble whatsoever pursuing an active outdoor retirement lifestyle. In truth, Lake Griffin Harbor isn’t just a place to live … it’s a lifestyle. Our 55+ community is a place where you can live life to the fullest in the company of friendly neighbors who wish to do the same. Contact us today to schedule a visit to see why Lake Griffin Harbor is one of the premier 55 plus communities in Central FL.